Every week at Talk of the Town, my co-hosts and I each feature one DIY project and one recipe. 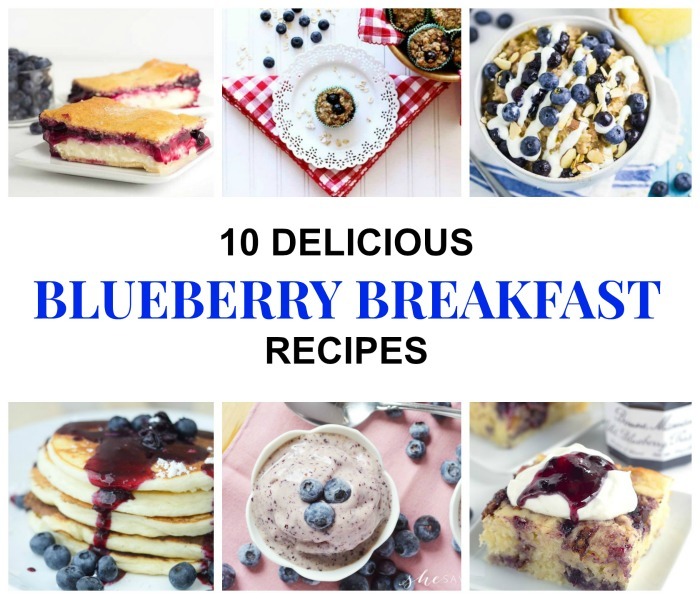 Last week, I spotted several blueberry breakfast recipes that all looked so good. 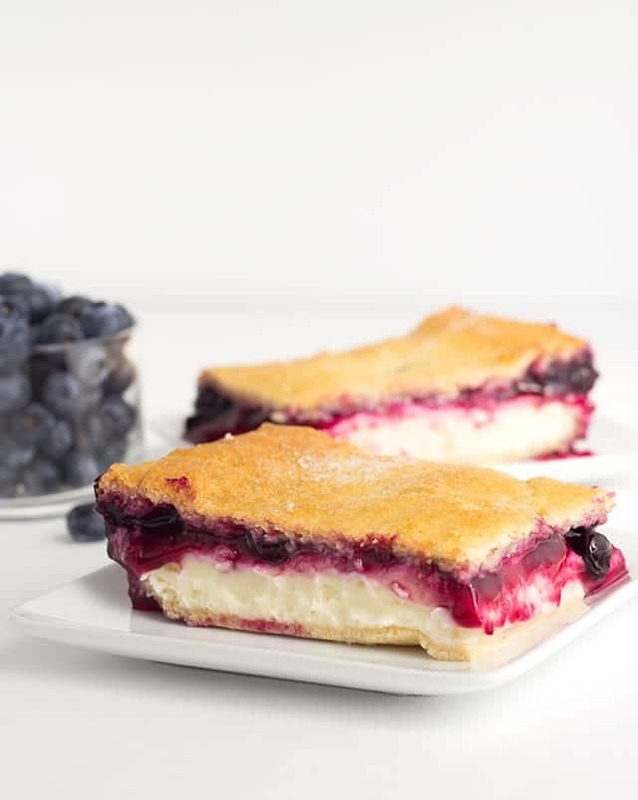 So I went through the party archives in search of more blueberry goodness and rounded up 10 recipes that I think you’ll love. First up is an oatmeal recipe. 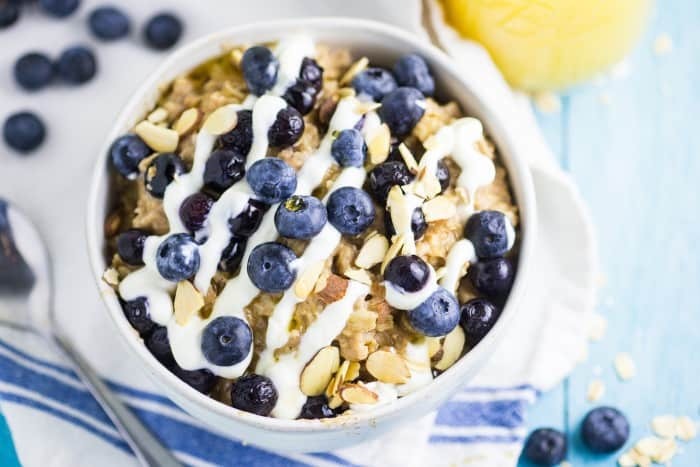 I don’t really like oatmeal, but this Blueberry Pie Oatmeal recipe by Simple Sweet Recipes looks so good. I mean, how can you not love blueberry pie? I think I need to give oatmeal another try! 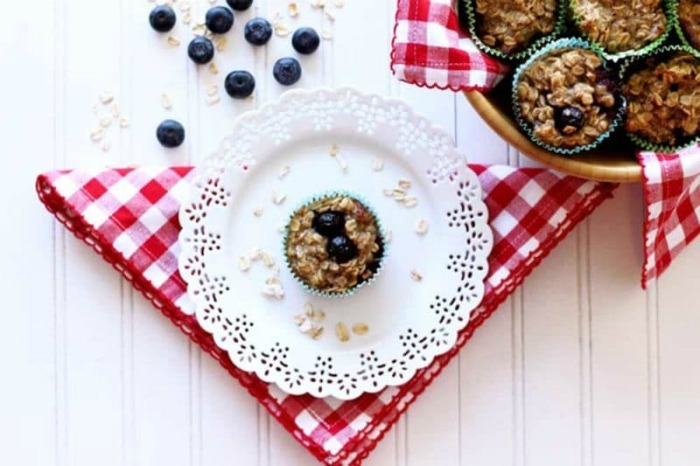 Baked Blueberry Oatmeal Cupcakes by Recipes Worth Repeating. 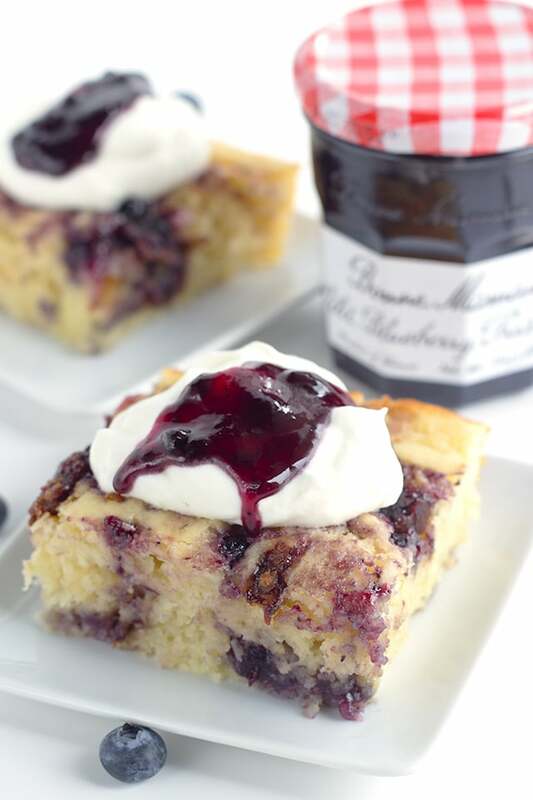 Is this Blueberry Cream Cheese Danish with Crescent Rolls breakfast or dessert? Who really cares! It looks so tasty! By Cookie Dough and Oven Mitt. Here’s another recipe from Cookie Dough and Oven Mitt. It’s Bacon Blueberry Baked Pancakes and they look delicious! 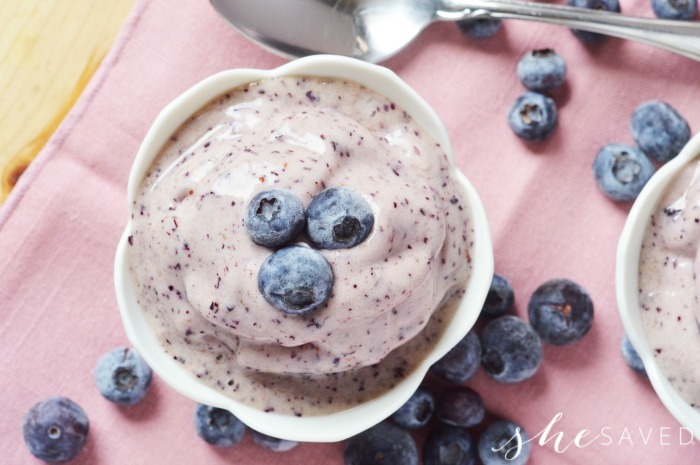 This Blueberry Banana Nice Cream by She Saved is a cross between a smoothie and ice cream and looks so yummy! 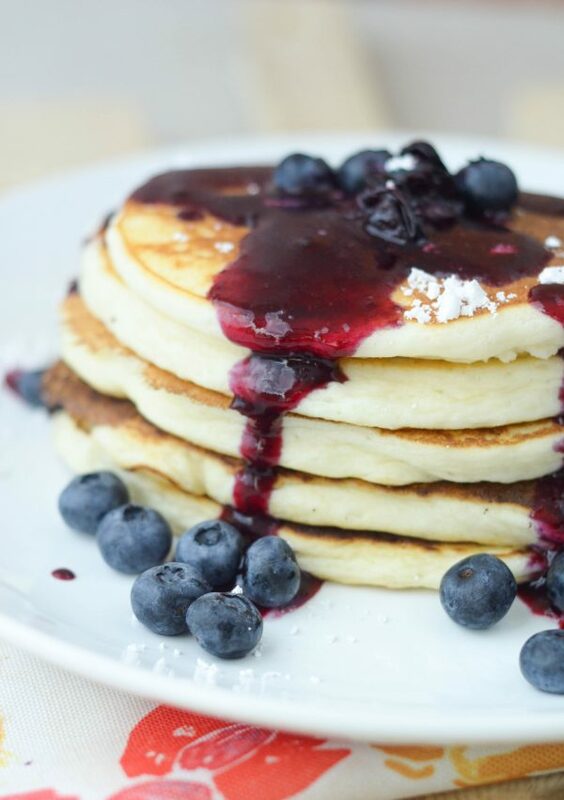 This Blueberry Sauce Over Buttermilk Pancakes by Mommy Hates Cooking looks scrumptious. Don’t stop at pancakes, because it would be just as good on ice cream or French toast. 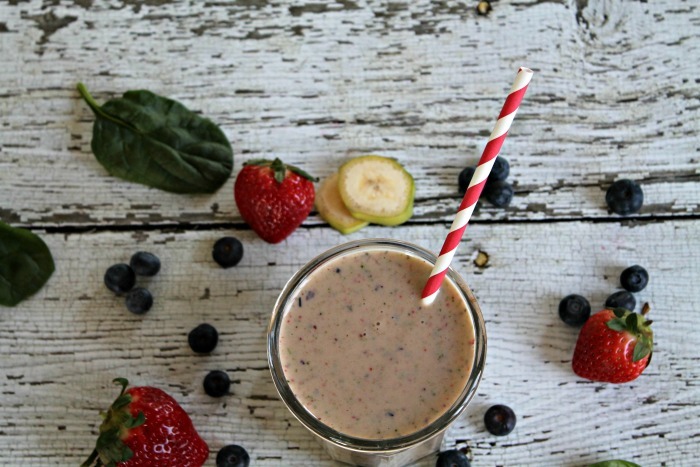 If you haven’t already, be sure to try my Superfood Breakfast Smoothie. I drink it several times a week and love it. 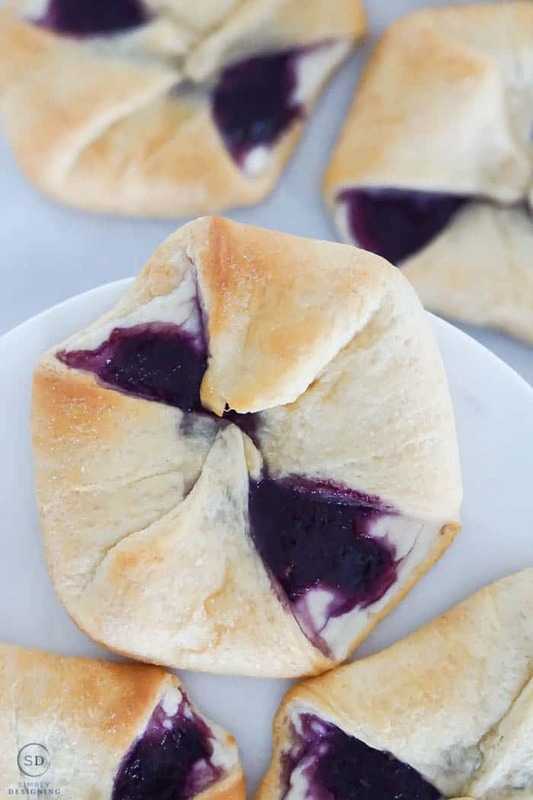 These Crescent Rolls Berry Cheese Danish by Simply Designing couldn’t be an easier grab-and-go breakfast or snack. 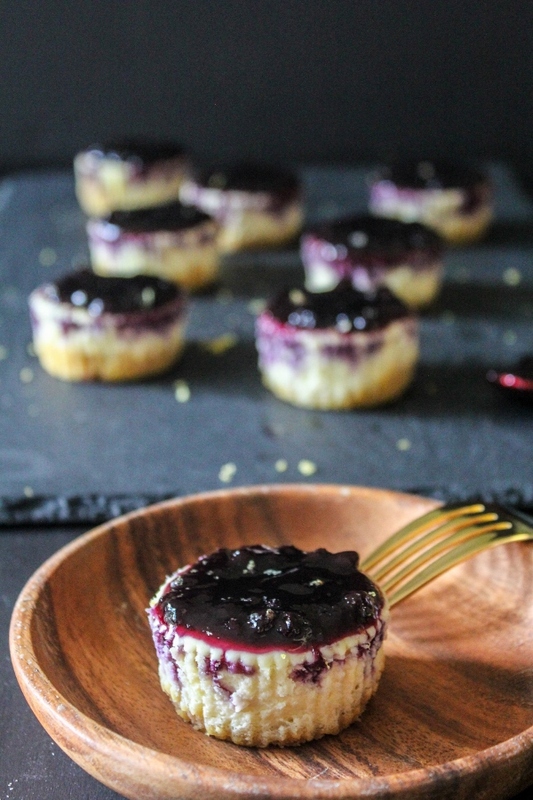 Technically, these Mini Blueberry Cheesecakes from Chef Next Door are dessert, not breakfast. But we won’t get hung up on technicalities, will we? If you drink some milk with them, it’s almost like breakfast. At least that’s what I tell myself! Yum yum yum. Blueberries are my faves and I will eat them in almost any fun way I can. Love all these wonderful ideas. Happy Tuesday.